Today's post is about the Purple Francaise! 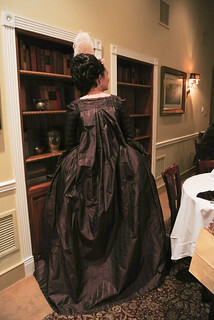 I completely forgot about this dress until I was going through my Flickr albums, which is ridiculous since it was in my Facebook profile picture for a good six months. Anyway, the dress! 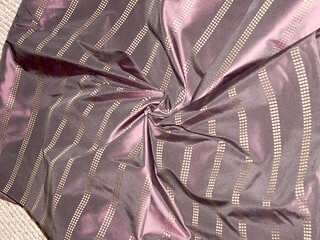 The fabric is a dark purple silk taffeta with a very subtle woven gold stripe, which is lovely but will never photograph accurately. 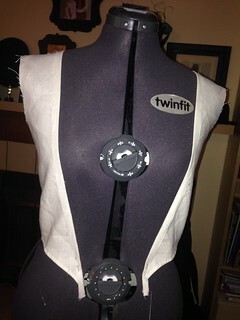 I spent a long time fitting and re-fitting the bodice lining. My Peacock was a disaster fit-wise (you may recall that Sarah and Katherine had to save it at Costume College 2009) and I didn't want a repeat of that. I also had to limit my machine sewing since I couldn't hole up in my basement anymore. 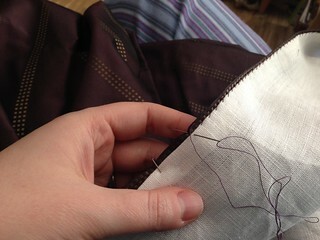 The resulting lining was made of a nice lightweight linen and was hand sewn. 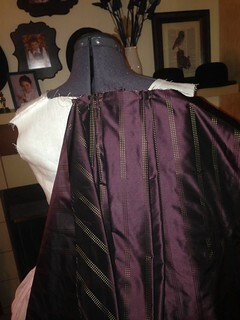 I then draped the pleats onto my dress form, using the stripes in the fabric as a guide. Since both my previous francaise projects were dubiously constructed at best, I relied heavily on Katherine's invaluable francaise tutorials. I still had some troubles fitting the front, but since those were mostly user error, I could handle them. 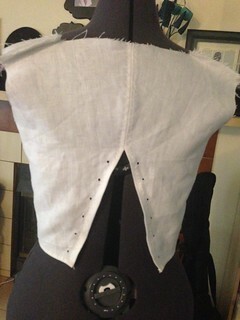 I then sat down to hand sew everything together using my favorite 18th century stitch. As my deadline loomed, I broke out the machine sewing - the petticoat doesn't have a waistband and is completely machine sewn, except for the hem because I am a hem snob. There are no further pictures because I was too close to the dinner to stop. 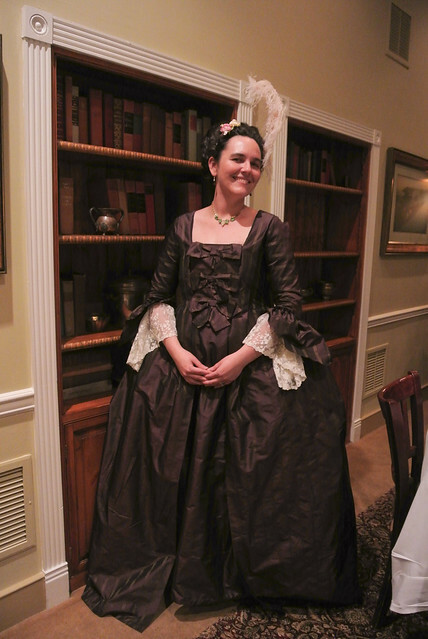 So here you have it - a mostly hand sewn francaise that I made in two weeks! It's not perfect (I desperately need to re-do the hem and waistband and stomacher and etc. ), but it's lovely and fits nicely. 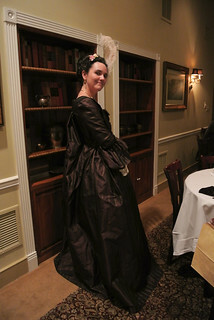 With a little re-working, it will be the perfect 18th century wardrobe staple.